The slider under the results window will change the number of decimals. This will happen next time the formula is evaluated (just press '='). The result window will grow or shrink as necessary.  The range of the slider, and the actual precision of the result are determined by settings in Preferences. 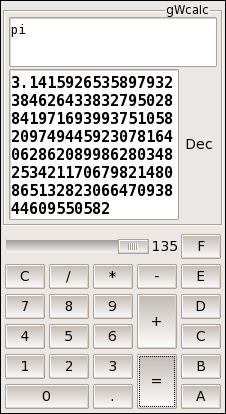 Most constants in Wcalc have a precision of about 8-10 digits, pi is an exception, as it is calculated as necessary. 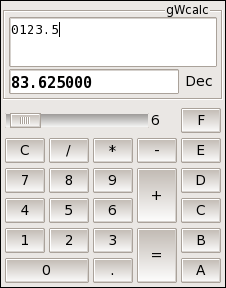 The button right of the result changes the number base of the result, cycling through Decimal, Hexadecimal, Octal and Binary. Again, it's necessary to press '=' to update. To avoid confusion, I clear the result window when changing the base. Note that you can always enter numbers in any base. 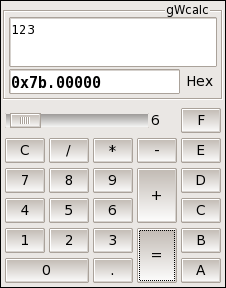 Numbers starting with a digit 1 - 9 will be interpreted as decimal, starting with 0 as octal, and starting with 0x as hex. Also note that hex/octal/binary numbers with fractional parts are allowed!